Pearls were once known to adorn the ears, necks, and hands of women with high class. Women who were considered to be part of high society. However, over time, the lustrous pearl lost its status and became a gem the general public could enjoy. The pearl is now so common that you and I could create them ourselves. Pearls were once so sacred that “the Byzantine empire dictated that only the emperor was allowed to wear pearls, and other societies had rules about who could and could not wear these little treasures.” Ancient societies even believed that pearls symbolized the moon and carried properties to keep women chaste and modest. England historically had a time where only people of high class wore these little gems to signify their prestige in society. Now, nearly all pearls that are sold are cultured. This isn’t necessarily bad news for jewelry makers. Since pearls are cultured at a rate of 40 per mollusk, the price of cultured pearls are low. This gives you an opportunity to create some gorgeous handmade pearl jewelry. If you happen to be interested in using cultivated pearls for your next jewelry project, here are some ideas your customers will love to wear! These earrings are always a classic! Miss Lovie has a 10 Minute Pearl Earring Tutorial that is easy to follow. 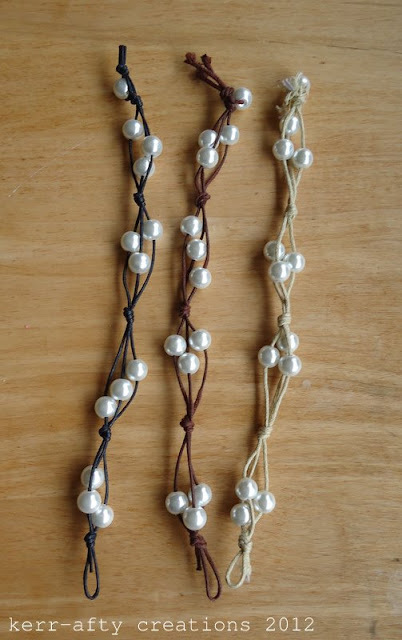 These knotted bracelets are fun and very boho chic. This easy bracelet tutorial will have you creating these in no time. This simple ring is very elegant and timeless. A very detailed tutorial on the pearl ring will help you get started. 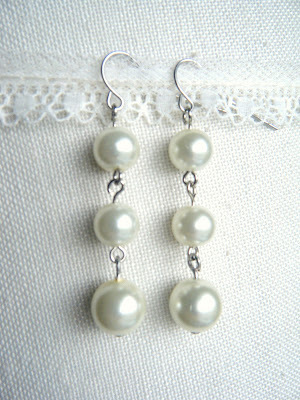 If you’re interested in more pearl jewelry ideas, the Jewelry Making blog has some great ideas. Pearls are timeless regardless of their current status in society. The global market might have driven the price down, but demand for pearl jewelry has not decreased.